Chance the Rapper had to cancel his Coachella appearance due to illness. Update: It seems Chance is feeling better. Chance The Rapper's scheduled appearance at Coachella this weekend was cancelled due to illness. 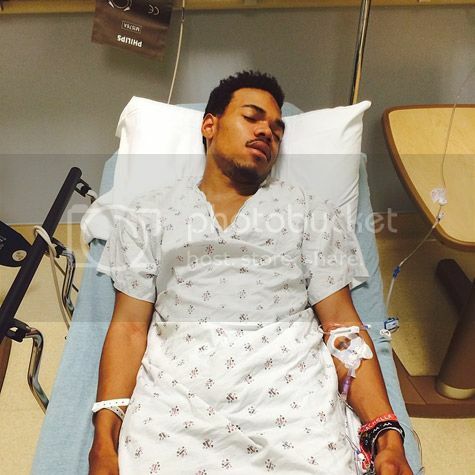 The rapper was sent to hospital, but is expected to make a full recovery. Check out the statement he made on Facebook below, along with the image he posted on instagram (which has since been deleted). We hope he gets well soon. On behalf of Chance and our entire team- We sincerely regret to have to cancel our 2nd weekend at Coachella. Chance fell ill on Friday night & was admitted to the hospital today- Doctors and family are with him & he is expected to make a full recovery. Thank you for the prayers and support during this time, Chance, the CTR team and family deeply appreciate it.